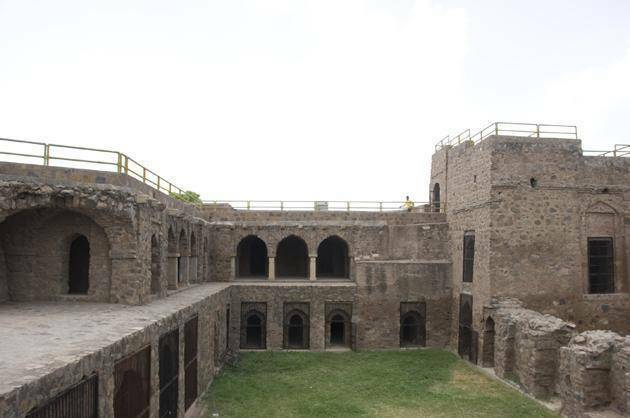 Build by Firoz Shah Tughlaq, Firoz Shah Palace is located in Hisar City; its construction started in 1354 and was finished in 1356. It consists of Lat Ki Masjid (a mosque), Diwan-e-Aam (a palace for his queen), a storehouse for grains and underground apartments. The architecture of this edifice potently draws inspiration from Islamic and Indian structural design; this is also because some material used in its construction was taken from sabotaged Hindu and Jain temples. But a pure Seljuk architectural style was utilized for the mosque, and has an unusual L- Shape for a shrine. The palace is completely erected out of red sandstone and travelers can also make a brief getaway to a nearby mound which allegedly shelters the remains of Harappan habitation.